The culinary industry plays a large role in the economy of Louisiana. There are over 8,370 eating and drinking establishments in the state which bring in almost $8.7 billion in revenue. There are over 16,400 expected to be added by 2026, an increase of over 8%. The demand for educated culinary professionals is high, and employers are looking for qualified individuals with the skills needed to make their establishment successful. We developed a list of the top 10 best culinary schools in Louisiana. 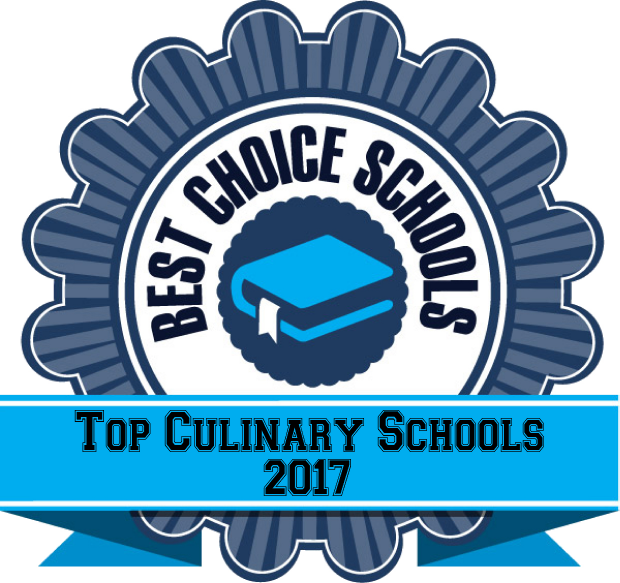 Many of these schools are accredited by the American Culinary Federation, an indicator of quality in the field. We looked for programs that offered a hands on training environment and internship or externship opportunities. Our research indicates the schools in our list are reputable and have a positive impact on the community and the students in the program. Baton Rouge Community College is a top culinary school featuring a diploma program in Culinary Arts and Occupations. The program is accredited by the American Culinary Federation. The program offers three different exit points allowing students to earn Technical Competency in the areas of Entry Level Prep Cook, Production Cook, and Entry Level Line Cook. Students leave the program with skills and abilities related to service and production. Throughout the program, students develop a strong work ethic, employment skills, and safe work practices. Bossier Parish Community College is a top culinary school featuring a Certificate in Culinary Arts that can be completed in just two semesters of study. Coursework includes menu preparation, supervision, food preparation, nutrition, and sanitation. Students complete a culinary externship as part of the program. Graduates of the program will possess basic supervision management skills, the ability to complete a personal nutrition analysis, and an understanding of culinary math. The program is designed to prepare students for an entry level positions in the culinary field. Culinard, the Culinary Institute of Virginia College in Birmingham gets students working in the kitchen on the very first day of class. This top culinary school features a hands-on learning environment in a state-of-the-art facility to ensure that students are ready and able to meet the demands of a career in the culinary arts. Students can complete the certificate program in 36 weeks, which includes an externship opportunity. Professional development opportunities exist for students who want to volunteer their services during special events. In the third program term, students plan, prepare, and present a buffet for family and friends. South Louisiana Community College offers an AAS in Culinary Arts and Occupations as well as a Culinary Arts and Occupational Tech Diploma. The Associate Degree program at this top culinary school features courses in dining room service, food and beverage operations, baking and pastry, and sanitation. Students can complete the program in just two years of study. The Diploma Program can be completed in about 18 months and features courses focused directly on the culinary arts. A capstone project is required to receive the diploma. Both programs are taught by experienced faculty. Nunez Community College is a top culinary school offering both an AAS degree in Food Service Production and Management as well as a Certificate of Technical Studies. The program features the ManageFirst Development Program through the National Restaurant Association. Courses for the AAS degree cover areas such as cost control, baking, sanitation, and supervision. A culinary practicum is required as part of the program which allows students to get on the job training before they graduate. The certificate program is a 30-credit hour program with coursework designed to prepare recipients for entry level culinary positions. SOWELA Technical Community College features an AAS degree and diploma program in Culinary Arts. The programs are accredited by the American Culinary Federation, an indicator of a quality program. Coursework for the AAS degree covers regional cuisine, production principles in dining, dining room service, and nutrition. Students complete a culinary production externship opportunity in their third semester. This 60 credit hour program can be completed in two years of full time study. The diploma program also features an externship opportunity and prepares students for an entry level position in the field. Students are able to earn National Restaurant Certificates throughout the diploma program. Louisiana Culinary Institute offers both AOS and BS degree programs in the culinary arts. This top culinary school is located in a 40,000 square foot facility with state-of-the-art kitchen equipment. Bakery and Pastry students can learn in a bakery demonstration lab and then practice their skills in one of two baking labs. The school also features a full service restaurant kitchen and two project kitchen. Student/faculty ratio is kept low with about 16 students to one instructor in lab courses. Students have plenty of clubs and student organizations to become a part of including a Garden Club, creating student demonstrations for the public, and working with the American Culinary Federation of Baton Rouge on community outreach. Delgado Community College offers several different culinary program options for students who want a career in catering, baking, or culinary arts. The Associate degree programs include concentrations in Chef Apprenticeship, Catering, or Pastry Arts. All programs require some degree of supervised work experience as part of the program. Students in the Chef Apprenticeship program have the opportunity study under some of the finest chefs in the area in a model similar to the European apprenticeship programs. Certificate programs feature specific coursework related to each specialty area. Baking and Pastry students would study sanitation, contemporary desserts, and baking skills. Line Cook students complete courses related to food preparation, nutrition, supervision skills, and purchasing. Students in culinary arts programs learn in state-of-the-art kitchen facilities with modern kitchen equipment and ample workspace. Grambling State University features a bachelor’s degree program in Hotel/Restaurant Management with the ability for students to complete a concentration in Food and Beverage. Grambling has three food laboratories, with one set up as an institutional kitchen. Smaller labs are set up with food preparation stations for students to practice and observe demonstrations. An internship opportunity is part of the program with students interning at the Holiday Inn, Hyatt Regency, Ramada Inn, and Applebees. A test kitchen is also available for students to study and learn the relationship between disease and nutrition. The Chef John Folse Culinary Institute at Nicholls State University is a top culinary school featuring an extensive offering of concentration areas in the culinary arts. Students can select from bachelor degree concentrations in Culinary Operations, Patisserie, Professional, Research and Development, Service, and Business Administration. Students have the opportunity to work in the student run restaurant at the Carmel Inn called LeBistro. Students operate all activity in the restaurant from dishwasher and dining staff to executive chef. Courses are hands-on with a low student/faculty ratio to allow for individualized attention. An externship opportunity is also part of program with students working at some of the finest restaurants in the world.